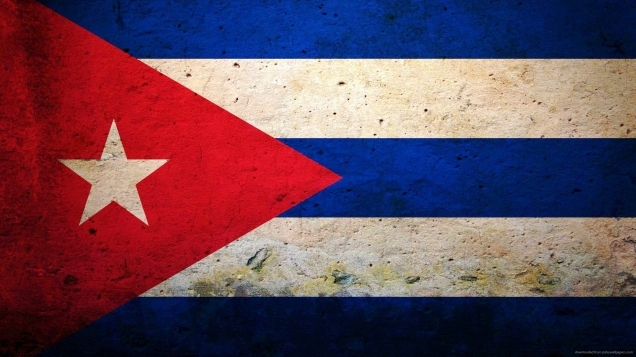 Can New Mexico Lead US Relations With Cuba? State Rep. Miguel Garcia wants to establish Cuban Trade Office. A lawmaker wants New Mexico to take immediate advantage of the United States’ newly opened relationship with Cuba. State Rep. Miguel Garcia, D-Bernalillo, says he wants to see New Mexico become Cuba’s “favored state” by establishing the first Cuban trade office in the nation. That includes becoming the country’s commercial hub for popular Cuban items like rum and cigars. “It’s really to position New Mexico as moving forward with state relations with Cuba,” Garcia says. His bill would use $25,000 from the general fund to establish the trade office under the state Economic Development Department. A director for the trade office would be appointed by the department secretary, currently Jon Barela. A fiscal impact report of Garcia’s bill notes that Cuba’s opening with the United States is “slow and gradual” and that “private enterprise in Cuba is not yet recognized by the government and would require cumbersome procedures to find local hires with business contacts.” Indeed, the Cold War era US trade embargo remains until Congress repeals it, which doesn’t seem likely anytime soon. But the Cuban government has been slowly opening up to market reforms since the collapse of the Soviet Union, its onetime mega trade partner. Garcia says that New Mexico has had a strong “human resource pool” with Cuba since the 1960s that will add to the Cuban Trade Office’s success. This includes University of New Mexico sociology professor Nelson Valdes, whom Garcia says has previously met directly with both former Cuban President Fidel Castro and current Cuban President Raul Castro. Valdes is expected be on hand Saturday as Garcia’s expert witness when the House Business and Employment Committee hears his bill. Another UNM professor, Spanish and Portuguese Department Director Enrique Lamadrid, will also serve as Garcia’s expert witness. The bill passed the House Government, Elections & Indian Affairs Committee last month on a 5-4 vote, with state Rep. Jane Powdrell-Culbert, R-Sandoval, as the only Republican present voting yes. New Mexico isn’t a stranger to appearing in news headlines with Cuba, which is located just 90 miles south of the coast of Florida. The state’s connections with Cuba were also on display this week when Santa Fe lawyer Jason Flores-Williams became the attorney for Charlie Hill, a member of the radical Republic of New Afrika who was charged with killing a cop in New Mexico in 1971 and soon fled to Cuba for asylum, where he’s been for 44 years. Three years ago, former Gov. Bill Richardson traveled to Cuba in a failed attempt to release American citizen Alan Gross, who was arrested and held there for five years over charges of subverting the Cuban government. Gross was released last year after both the US and Cuba announced that they were normalizing their relations.